It's been an unprecedented week here on Novel Matters. I sure hope you've been here. First, Bonnie threw convention to the wind and wrote a two-part post on Monday and Tuesday on the Anatomy of the Interview. I loved how she encouraged us--in her astute and hilarious voice--to be authentic and to approach each opportunity organically. And then Sharon showed us how she'd mastered Bonnie's suggestions in her interview on Wednesday. All vital stuff. Highly recommended. I will never look at an interview in quite the same way ever again. Even more, I found what Bonnie had to say about interviews true about promotion in general, like: "It's all about the audience," and "Think of [promotion] as a 'group hug' not 'spotlight on me,'" and "The purpose of [promotion] is to connect people with ideas in order to demonstrate concern for the overall well-being of the reader." As so many of you commented, this fresh look at interviews/promotion is liberating for those of us who don't enjoy self-promotion. 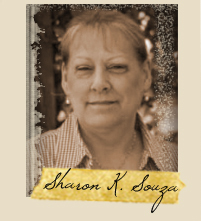 If you follow our blog, you've heard that Sharon and I are forging a trail into the independent publishing world. The learning curve is steep, to say the least. Not only are we expected to write a can't-put-it-down story, we must learn formatting, hire editors, and--gulp!--create an enticing cover. And, oh yeah, there's promotion. 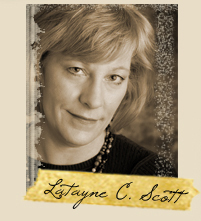 My books (I'm preparing three out-of-print books and one new story) won't be ready until spring 2013 for release, but I want to build a relationship with my readers now. I would like to say that every step I've taken has been deliberate. But I happened upon something by doing what I normally do. Bonnie would say I'm being authentic, but my initial motivation was fear. As a former bookstore worker and librarian, I'm all too aware of the importance of a book's cover. It's usually the cover, sometimes the author's name, that gets a book picked up. I've seen it a million times. The importance of the cover cannot be overstated. Sadly, independently published covers are usually lacking in appeal. I wanted to overcome the stereotype of the nondescript cover (without breaking the bank). More importantly, I wanted to give my story the chance to reach its reader, an even bigger challenge for ebooks. Have you seen the tiny thumbnail-sized icons on Amazon and B&N they feature to sell ebooks? To draw a reader, the cover has to be more than passable. Hence, a lot of pressure to create great covers has been waking me up in the middle of the night to stare at the ceiling. As the art director, I'm no longer the one giving feedback. It's my job to dream and initiate the design. And then, I hunt for locations, hire a photographer, find models, acquire props, repair props, and make the wardrobe for the models. This last one, sewing, made my pits sticky. I hadn't made a garment in years, maybe not since my boys went trick or treating as Ralph S. Mouse and Tom Cat. For the past couple weeks, I've eaten, slept, and sewed in full fear-of-failure mode. Daily headaches became the norm. (I know. Silly. But that's my story.) From the start, I updated my status on Facebook regularly with pictures about my sewing adventure and the quest to find the perfect Lucy and Mibby. At first, I wrote the updates as catharsis, but I found that my friends enjoyed following my quest. They became my cheerleaders. They leaned in closer as I tiptoed through the process of creating book covers. Without planning to do so, I invited my readers a bit closer to observe the creative process. Like me, people love seeing something move from the imagination to reality. 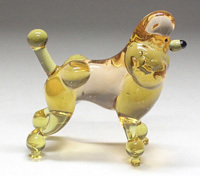 Remember watching the glassblowers make poodles and dolphins at the fair? That's me, doing my art and showing my technique. I'm promoting my novels by talking excitedly about dressing them up for their debut. It's natural and fun. Painless, in fact. The grand finale will be presenting the covers to my readers and friends. I can't talk about creating covers for my books and consider the job of promotion done. I'll talk through the whole process of indie publishing, but I'm also thinking of other ways I can give to my readers and build meaningful relationships. This probably means a personal blog, where I can create free yet meaningful content that will hopefully make my readers' lives better. Remember what Bonnie said, interviews--promotion!--is about the audience, always. Being other oriented makes promotion a lot more fun. 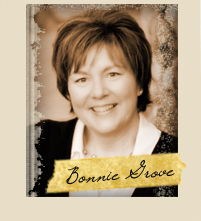 How do you see Bonnie's interview ideas applied to other areas of promotion? How have you created content to enrich your reader's lives? What venues do you use? Have you seen authors do this well? 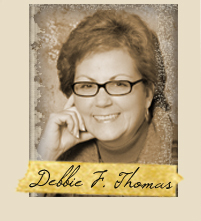 Feel free to ask questions and offer ideas of others-oriented promotion. Patti I for one can't wait to read your books, especially the blue-dress one. I had to mentally translate when Spring 2013 was for you - I was horrified at first to think how long I might have to wait (but I had my seasons backwards). It's funny how the Facebook catharsis thing became a marketing strategy. I love it! And I've had exactly the same experience. When I was deep in the throes of writing the final draft of my first book I used Fb a lot to download the intensity of the experience, just to talk about it when there wasn't anybody else around to talk about it. I did NOT expect so many people to hop on and join me on the journey, but they have! Starting a blog was the same thing as well: I didn't know what I wanted to say. I just knew that if I was ever going to attract the attention of anyone in publishing I needed a platform, so blogging it was. In the absence of anything really meaningful to say, and knowing full well I was talking only to myself and my three followers, I got in some "practice time" by just downloading what I was thinking and feeling - making sure I kept it general enough to not get me into trouble with anyone (this is the internet, not my journal). Catharsis muchly. In a general way, of course. However, apparently people LOVE getting involved with humans and stories (why does the novel matter, anyone?). My blog caught the attention of the big-wig-blog-promoter-people and suddenly I have this huge following (and yes, it still feels uncomfortable to talk about) and all these people who have climbed on board with me and my honesty and my seeming ability to talk about personal stuff without saying anything that personal. Weird? Yes. Unexpected? Very. Long answer? You bet. But apparently I've created content that enrich my reader's lives. Yay for me! LOL. It took Bonnie, though, to explain to me exactly what I did right. Sheesh, if it wasn't for Novel Matters I'd still be floundering! 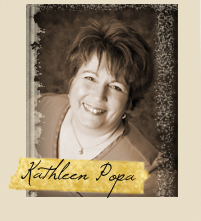 Patti, it is really fun to follow along on your publishing adventure! Yesterday I was at a woman's retreat for a speaking engagement. A friend introduced me to a lady and said, "Susie's awesome. She has this book coming out..." and then proceeded to promote my book as I stood there. I didn't have to say anything. It made me smile! I've had friends offer to be a walking billboard to advertise the release of "Paint Chips" (she wants to make t-shirts for her and her 6 kids to wear...how fun!). Another friend has announced to her friends and family that they will all get a copy for Christmas next year. Yet another friend has invited me to speak to her book club. I can't tell you how humbling it is to have this kind of support (although, I'm certain you all understand). At first, I felt funny about receiving so much help (I'm a "I can do it" type, youngest of four person). But then I realized that they WANT to do this. They're excited. And they want to be involved. It's a huge group hug. Yes, it is. And I need to remember that, while I'm hugging them, I need to let them wrap their arms around me, too. Megan: Bonnie is who we all depend on to tell us what we've done right. She has a gift for looking through the mist and seeing things rightly. I love that people are responded to your voice and your heart. You are honest and so much more. Susie: Yep, this is definitely a phenomenon of the writing life. People want us to succeed, and they're willing to work toward that end. It's very humbling. We work and work in our quiet, sometimes lonely, worlds to create story, and our reward is friendship. They've seen into our hearts and they offer theirs in return. Lovely. So very lovely. 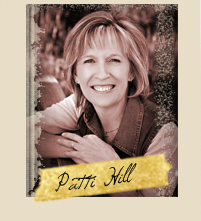 Patti, I found this post so encouraging! 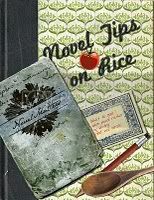 I'm entering the self-publishing process as well, and I have all the same bullet points on my check-list. Thanks for sharing some insight into your experience. It comes back to "give, and it will be given unto you" it seems. The original definition of "group hug". Love it. Samantha: The best to you as you step into the brave new world of self-publishing. Let us know what you learn along the way and how you're faring. Anonymous: Thanks for picking up on the "giving" part of my post. This model of being in the writing world as a profession/ministry is most compatible with my faith walk. Giving, listening, touching are all modeled by Jesus. Great thoughts on promotion. I just read one that talked about promotion as not promoting self or a book but promoting God. I had to wonder, though, how that would play out for writers who don't have a clear theme involving God. If Tolkien had promoted his books, would he be able to come at it as promoting God? Your idea of giving to your audience seems to fill in the gaps.